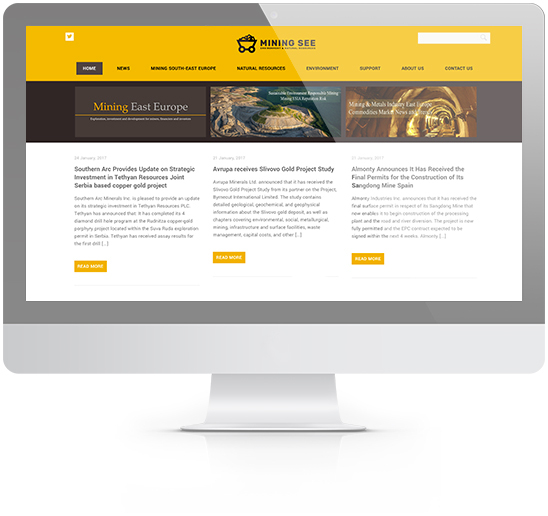 Mining South & East Europe, Mining SEE , is the upgraded platform of successful project MiningWatchSEE. MiningWatchSEE introduced in the focus region the balanced approach of environment friendly & responsible mining. 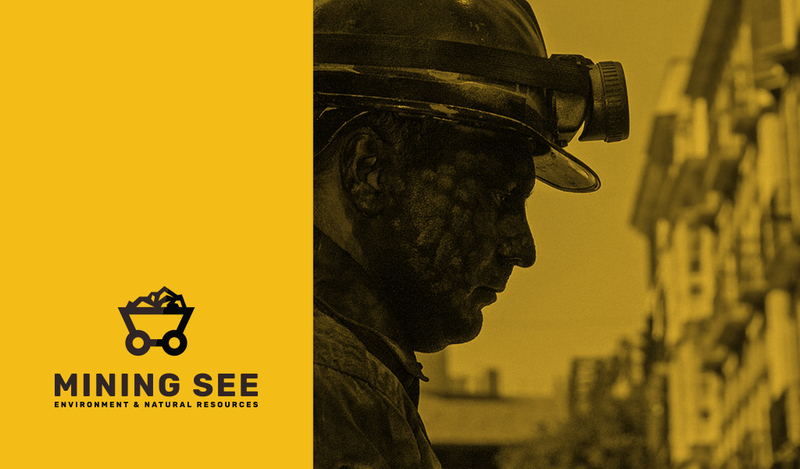 Mining SEE serves as a information hub & relay platform for natural resources industries, primarily focused on Mining Exploration and Environment Impacts of Mining. Mining SEE aims to support the promotion of Mining industry which is one of the key pillars of national economies in South & East Europe countries, all having sustainable mining industries. This logo design clearly represent the idea and what is mission of Mining SEE -sustainable mining and environmental protection. Simple and strong, it is smartly designed in a way that you can see all of the elements of mining. Looking at it, circle around the wagon on weels painted in gold recalls the orbiting in nature. Wagonload of mineral resource points to the area of South and Southeast Europe rich ores. 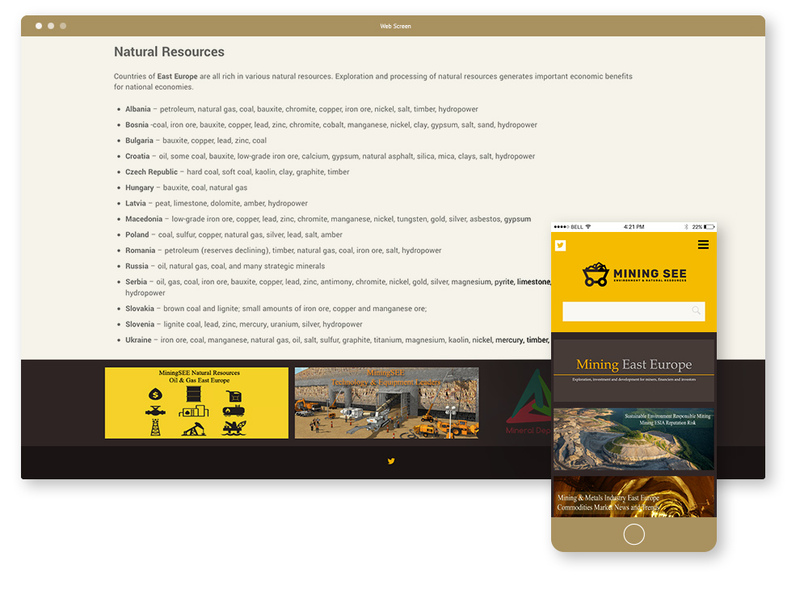 Website design is clear and simple, makes MiningSEE easy to monitor and report on all aspects of the project environment and natural resources in the countries of focus. Each of his articles are well thought out and they always have an clear direction running through them making the content just that much more interesting to read. MEDIAVUK Web Design specializes in responsive websites as your website is a great experience for all or your users.